Soldiers must get back to the basics as they train and prepare to face an increasingly volatile world, the top commander of Forces Command said. "With the complexity of the world, we honestly don't know when we're going to get called on to go do something else in a big way," said Gen. Robert "Abe" Abrams, who took command of FORSCOM in August. "We know we're not as good as we need to be in our core competencies, so that is why we started this three-plus years ago, sort of refocusing." Soldiers who are not preparing to deploy to Iraq or Afghanistan are going to train to "fight and win in a decisive action environment," Abrams said. This means intensive home station training paired with high-level collective training at the Army's combat training centers, which will prepare soldiers for any contingency anywhere around the world. "We have just gotten just about every brigade combat team in FORSCOM through at least one rotation through the training centers," Abrams said. "We are starting on our second, but it is going to take time to rebuild that baseline core competency of readiness." On a recent troop visit, Abrams met a young staff sergeant who recently graduated from the tank master gunner course. The staff sergeant, who had been in the Army for eight years, had participated in just three tank gunnery exercises during his career, Abrams said. "Our training strategy says that armor units shoot gunnery twice a year, minimum," Abrams said. "So, conservatively, he probably should have participated in 15 gunneries since he has been in the Army, but he has been busy doing other things." 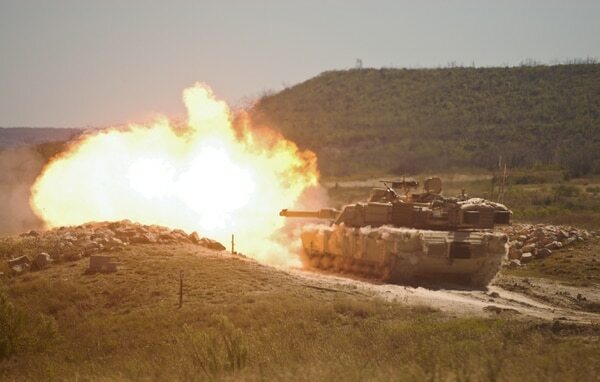 An M1 Abrams with the 2nd Armored Brigade Combat Team, 1st Cavalry Division, puts lethal fires downrange during recent gunnery training at Fort Hood, Texas. The Army's noncommissioned officers have "a ton of skills that NCOs 20 years ago did not have," Abrams said. "They are great communicators, they are comfortable in ambiguity, they do not really need clear guidance, they can operate under mission-type orders, they work well with host nation security forces, and you can throw civilians at them, and be comfortable," he said. "But simple things, like their core competencies, they just lack the experience. It is going to take what I refer to as not only repetitions but also sets of those repetitions. It takes reps and sets to rebuild this core competency in our fundamentals." As the Army rebuilds its core skills, soldiers remain busy, Abrams said. "At the unit level, they are turning just as fast as they were, or their predecessors were, at the height of the surges" in Iraq and Afghanistan," he said. Because of this optempo, Army Chief of Staff Gen. Mark Milley's No. 1 priority is readiness, and "it is not just a bumper sticker," Abrams said. "Everyone knows how uncertain the world is today," he said. "It is much more unstable, volatile and complex than it was even two years ago." And as the Army has downsized the force, its commitments have increased, with soldiers in Iraq, Afghanistan, the Pacific, Europe, Africa and elsewhere, Abrams said. 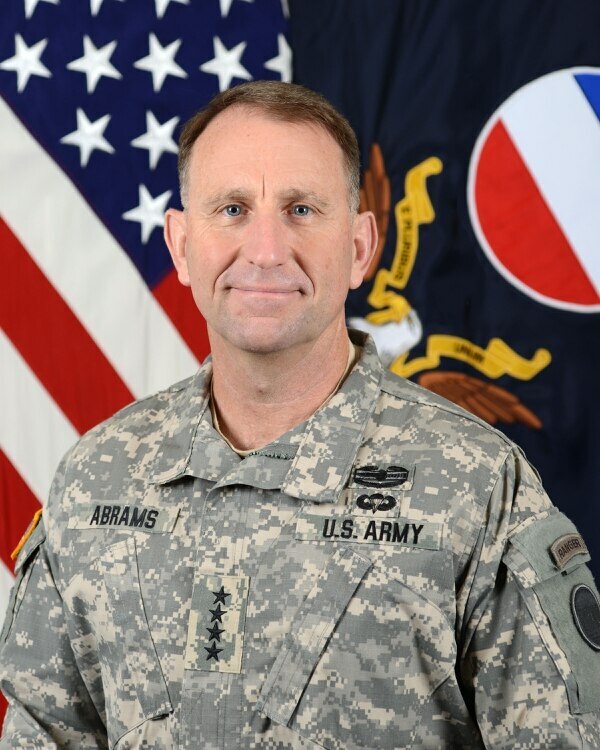 Gen. Robert B. Abrams, who took command of Forces Command in August, is focused on rebuilding soldiers' core competencies. To meet the growing demands, the Army is studying a new concept to manage its readiness. During the wars in Iraq and Afghanistan, the service implemented the Army Force Generation Model, which progressively resets and trains units for possible deployments. The ARFORGEN model is similar to an assembly line, Abrams said. "We would take a brigade at the beginning of an assembly line and strip it down," he said. "We know that we have a production date on that assembly line to have it ready by this date. It does not need to be ready two months before that, three months, or four months." As a unit moved down the line, it would get new equipment and new personnel before ramping up its training. 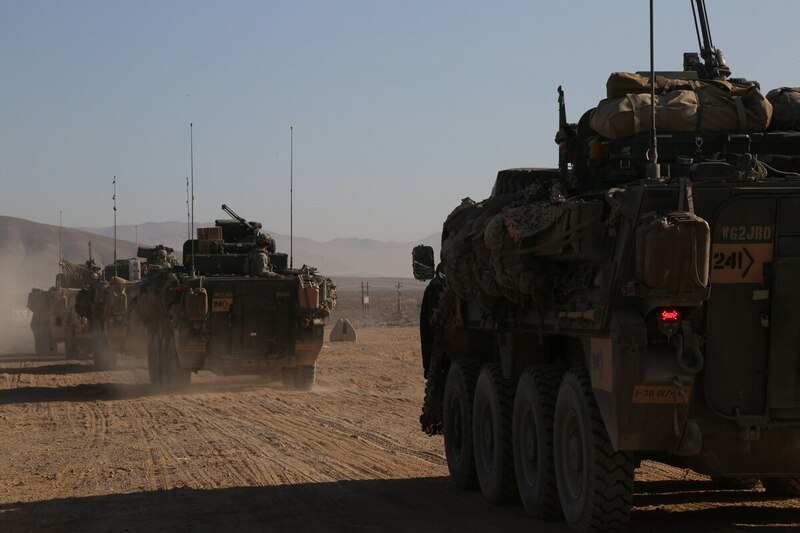 Once deployed, "we basically sent it to a demolition derby," Abrams said, and at the end of the tour, the unit would return to the U.S. and begin the reset and train-up process all over. "Basically the unit would go to the lowest level of readiness … [and] start over again," he said. "It was about readiness built for a specified time for a specified location, specified mission." That model doesn't quite work as well anymore, as the Army send soldiers on short-term missions or new missions to new locations around the world, so the service is looking at what is being called the Sustainable Readiness Model. Under this model, which is still pending final approval by the Army secretary, units are given all the equipment they need and are then required to maintain it as they go. "Sustainable readiness is not about being ready at one specific time. It is about building and sustaining readiness over long periods of time," Abrams said. With ARFORGEN, units would go through periods of very high readiness and periods of very low readiness, with "a very wide variance sine curve," Abrams said. The idea behind the Sustainable Readiness Model is to flatten the curve, he said. "So we're going to use [units], but the key difference is we want to maintain the equipment, we want to maintain the people, we want to maintain our warfighting skills while we're using it doing regionally-aligned forces, while we are using it in Kuwait, while we are using it here, while we are supporting [Northern Command]," Abrams said. 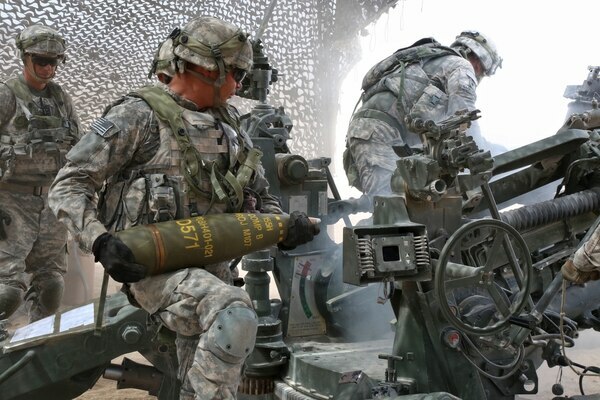 A soldier assigned to A Battery, 2nd Battalion, 12th Field Artillery Regiment, 1st Stryker Brigade Combat Team, 4th Infantry Division, loads M107, 155mm projectile ammunition for an M777 Light Towed Howitzer during calibration for Decisive Action Rotation 15-10 at the National Training Center, Sept. 10, 2015. Under the Sustainable Readiness Model, some soldiers could potentially leave a deployment to attend professional military education courses. They also might focus on individual weapons qualifications and service their vehicles while away from home. "With sustainable readiness, mostly the challenge is going to be between the ears," Abrams said. "The temporal shift is, 'hey, I need to be ready all the time. I have to be ready, my squad needs to be ready, my equipment needs to be ready, my personal individual issue equipment needs to be packed and ready. I need to have a go-bag. I do not know when we are going to be called.'" In the months ahead, FORSCOM will continue to focus on growing that mindset and reinforcing the basics, Abrams said. "Our fundamental focus is really on restoring our fundamental core warfighting capability," he said. "I go back to the example I gave you about a staff sergeant company master gunner who has fired all of three gunneries in his eight-year career. You can choose any branch, and they are going to tell you similar stories."